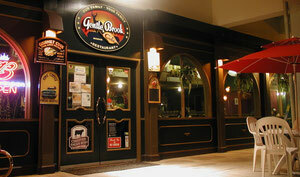 Gentle Brook Cafe is an international cuisine family restaurant. It is a relaxing place to be whereas you can dine in with a full service to be satisfied with. Just opened our doors on the 3rd of March 2008, we offer great service to our visitors, guests, tourists, & residents. We also serve you with the best food on the island with appetizers to steaks to Mexican & there are lots more to see. With its wide space, it is capable of servicing more than a 100 pax. We so accept wedding receptions, birthdays, graduation parties, christening, & any sorts of occasions. Gentle Brook has the best dining staff to comfort you when a moment in your day has beened stressed as well; we offer great prices to serve you in a better understanding way. Gentle Brook is the best place to visit the island if you’re stressed out, exhausted, & just wants to be in a quiet relaxed atmosphere. Listen to the sound of birds; look at the relaxed view out the window, & just seeing all the antiques that surrounds you makes you feel at home if as you want to stay longer. So come down on to Gentle Brook Cafe & experience the feeling of warmth welcoming sweet home.